About the Work: With words such as “clamor” and “excitement,” one’s musical imagination can be directed to the sounds of brass and percussion instruments. Brass can exude declamatory statements while also being capable of the most beautiful, song-like tone. The percussion, also capable of declamatory excitement with its large drums and clamorous bells can also create momentum, propulsion, and the occasional angelic harplike sonority. 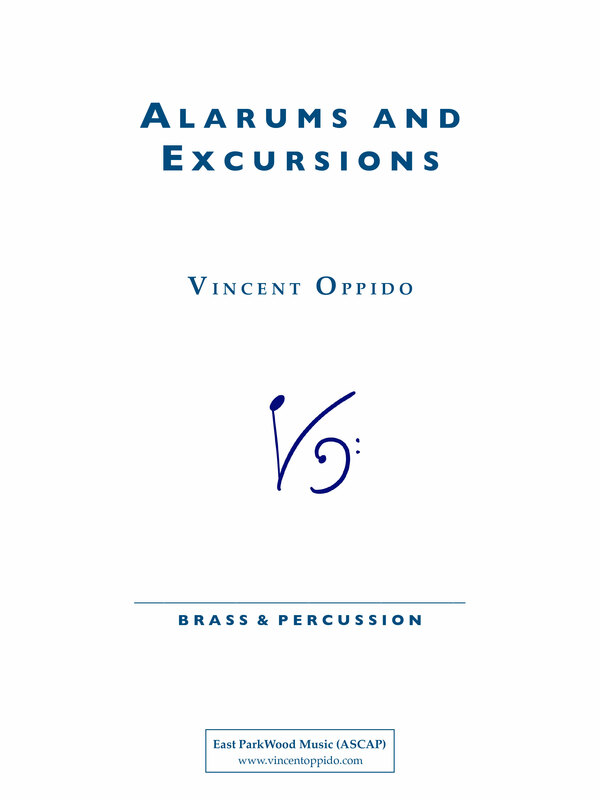 Alarums and Excursions is a short musical piece that captures the spirit of the words found in webster’s definition. Though beginning with a simple major triad, the music is immediately interrupted by additional tonalities and juxtaposed rhythms. Along with the inclusion of a chorale, the major triad of the opening bar is developed through harmonic, rhythmic, and melodic boughts of clamor, excitement and feverishly, disordered joy.